Once satiated with all its activities, you will have two steps to do to find your serenity in the apartment, quiet in the street. The bathroom is equipped with a shower and a sink. The toilets are separated. The kitchen is equipped with a microwave, ceramic hob with, a dishwasher, a coffee maker. The main room has a TV. We also find at your disposal a vacuum cleaner, iron and ironing board. 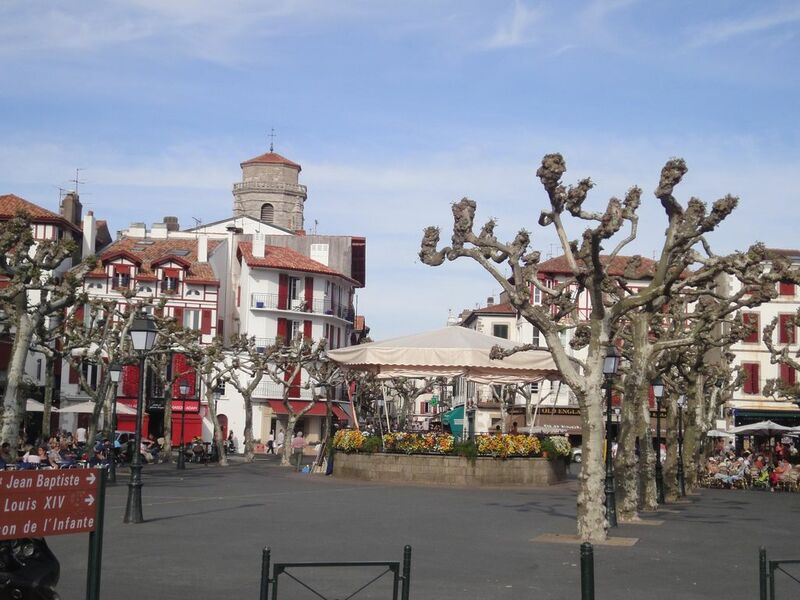 While enjoying the 'Grande Plage' St Jean de Luz you can visit in its rich historic center: Louis XIV was a prestigious guest, Vauban left his footprint by closing the bay of three dikes. Through your visit we will recount the life of some famous pirates including a famous 'Tourasse' that will leave its name to the street where the apartment is situated .. Crossing the bridge, you will go to Ciboure to meet the composer Maurice Ravel and his 'Bolero' ... At a 15ène kilometers, following the 'Corniche'et its stunning cliffs you arrive at Hendaye (another famous character though another era: Bixente Lizarazu)perhaps -you Start the surfing ... And from there the doors of Spain open to you: St Sebastien: delicious tapas, bodegas ..
You can leave the 'Côte Basque' without climbing to the top of the Rhune and admire the view.